Is a very nice 71.92 sqm one bedroom furnished apt. which accommodates up to 4 adults. The apartment consists of queen size bed, living area with double sofa bed, cable tv, air conditioning, fully equipped kitchen, microwave, bathroom with shower, bathroom scales, balcony with chair. Household linen provided ( beach towels). Free access to private beach equipped with sunbeds and umbrellas. 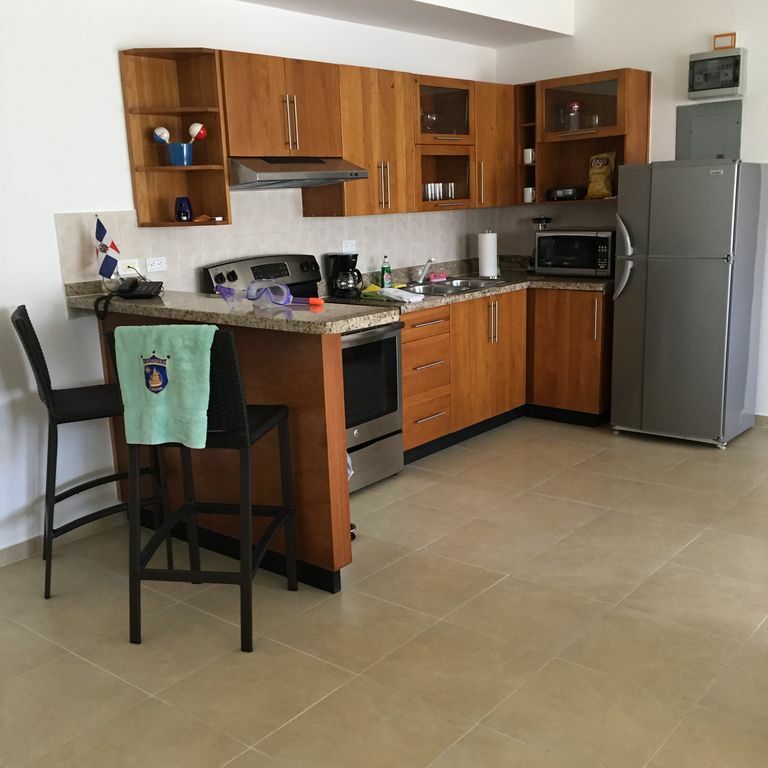 The apartment is located in "Residence Cadaques" a beautiful five stars complex on the beach, built in 2009 in Mediterranean style along one of the most beautiful coast of the Dominican Republic. Residence Cadaques (close to famous "Oasi Canoa Veratour" and "Gran Dominicus", 3,5 km far from Dominicus centre) offers a fine restaurant on the beach, pizzeria, snack bar, wine bar, spa, gym, pools, waterpark, kids playground area on the beach, floating toys onto the sea, minimarket, reception, security 24/7, golf cars and many other facilities. Extra Fee: Electricity $0.50 per kilowatt, pay at check out.